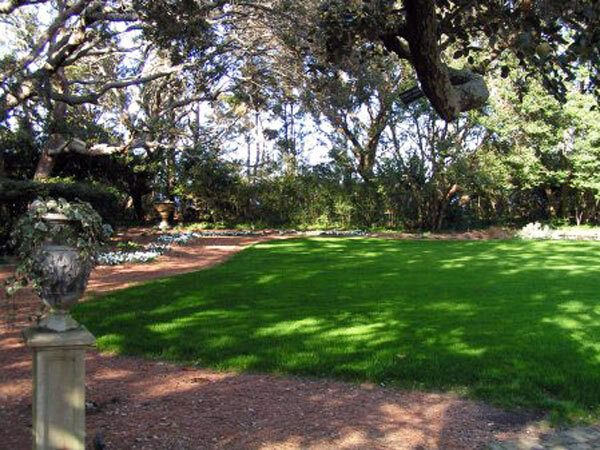 Located on Roanoke Island, the gardens are situated on Sir Walter Raleigh’s 1584 colonial landing site. This early colony was funded mostly by Raleigh under the banner of Elizabeth l. By 1590 no residents of this “Lost Colony” remained. 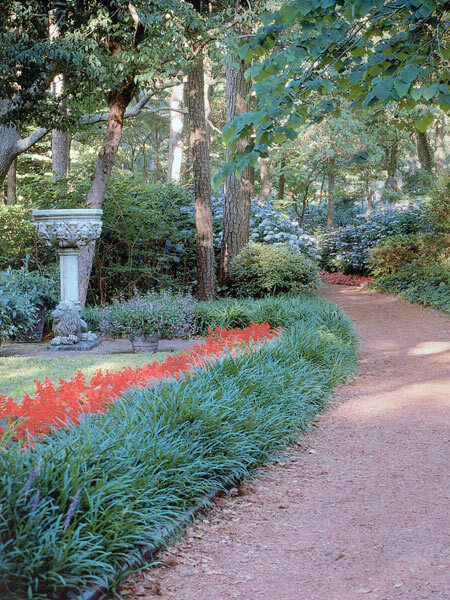 In 1953 the Garden Club of North Carolina proposed a garden to acknowledge the cultural value of this area and serve as a permanent memorial to the colonists. The original program, a modest two- acre garden exemplifying the type of garden a colonist might have made, was transformed with John Hay Whitney’s donation of an outstanding collection of European statuary and garden ornaments. 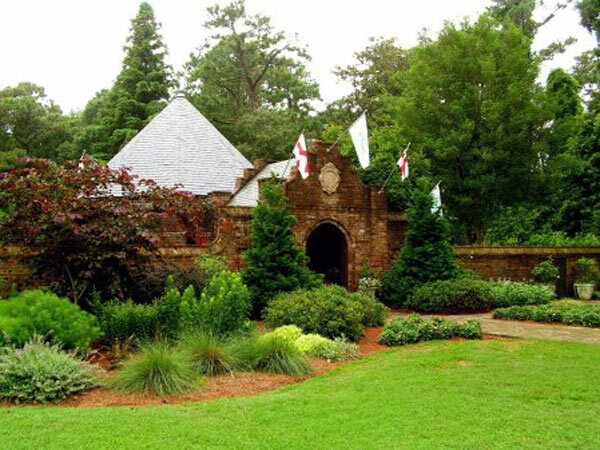 In 1954 the garden club hired Richard Webel of Innocenti & Webel to design the Elizabethan Gardens. 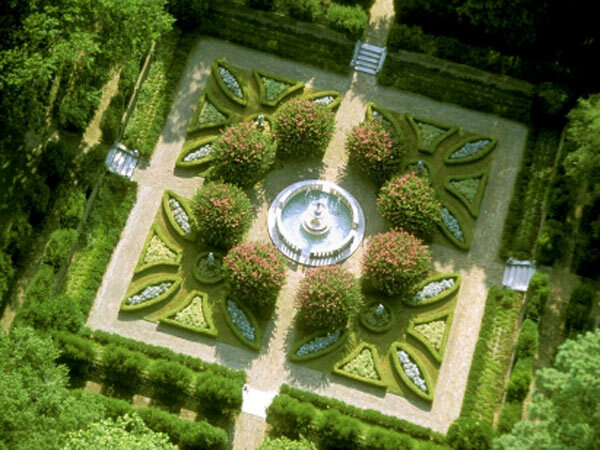 Webel’s ten-acre design, an Elizabethan pleasure garden inspired by Whitney’s statuary, has a keen sense of order and spatial hierarchy, with a sequential ordering of experiences. 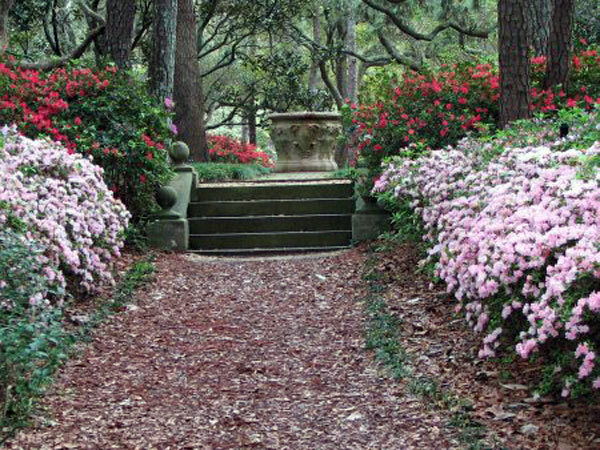 Visitors approach through a woodland path before entering a series of enclosed garden rooms, which in turn open onto a great lawn to the south and an overlook terrace with views of the Roanoke Sound to the north. 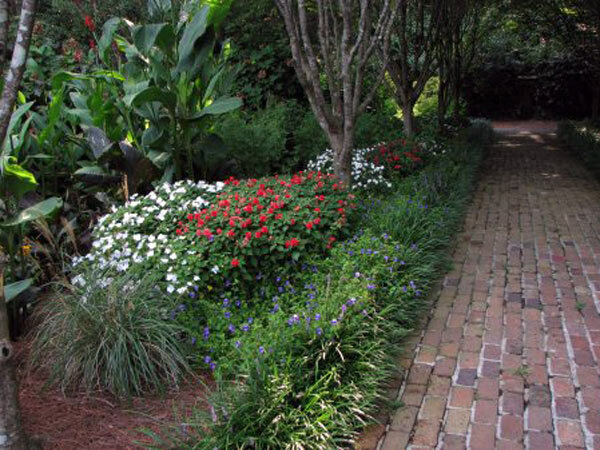 The gardens include exotic and indigenous plantings, such as a rare sea holly that grows south of Roanoke Sound and a live oak thought to be from the same time period as the “lost colonists.” In 1976, English landscape architect Lewis Clarke designed a rose garden called The Queen’s Rose Garden in honor of Queen Elizabeth ll.